Carried by the winds of the desert, the voice of the Malian soldiers echo the memories of the civilian population and tell the story of this decisive battle, that convinced the French army to become involved and to launch the reconquest of the country. Antoine Chesné, after studying for an engineering degree in electronical physics, has been working the past 10 years as a self-made screenwriter, director and film editor of documentary films. With « Icilàbas », he learned to speak the Bambara language of Mali and directed two autoproduced documentary films in Mali : Et personne n’a rien dit (2013) and Au cœur de la corne (2010), screened during the « Printemps du documentaire » Festival in Rhône-Alpes, France. Today he teaches documentary filmmaking at the Stendhal University in Valence as well as at the Emile Loubet High-School. 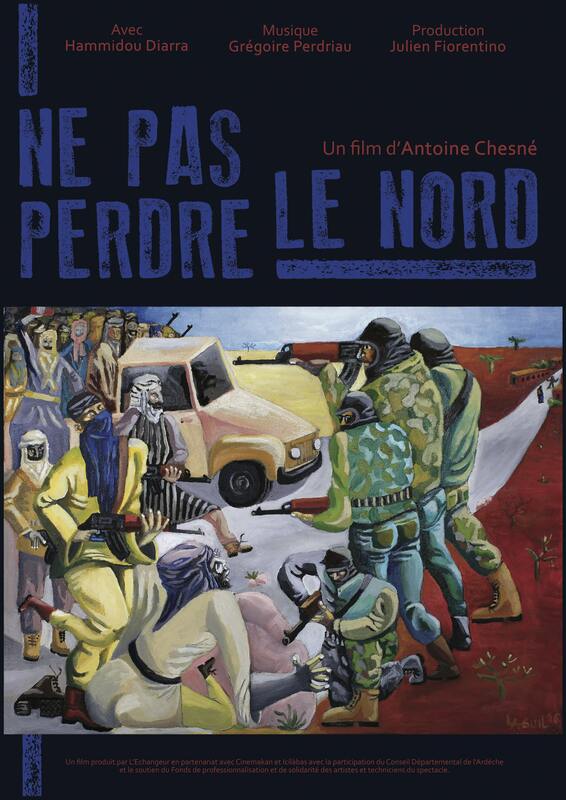 Ne pas perdre le Nord is referred in the catalogue of Agence du Court Métrage and Unifrance Films.